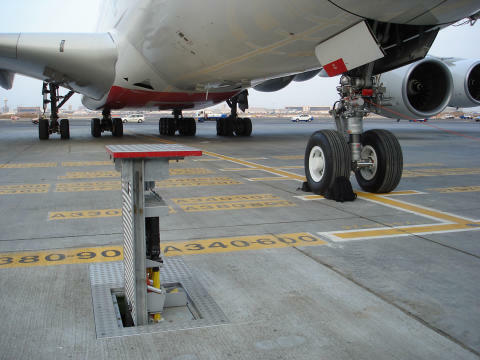 There are currently some 40,000 Cavotec aircraft pit systems installed worldwide. The largest of these orders is for a substantial number of ground support systems for Hong Kong International Airport Midfield Apron Project. Cavotec will be supplying 400Hz converters, 400Hz electrical pit systems, deck loader power supply pits, fuel vault access covers and fuel hydrant pits. Deliveries are scheduled during 2017 and 2018. The Midfield Apron Project is part of the Airport Authority of Hong Kong (AAHK) expansion plan to meet increased passenger demand and allowing it to continue its role as one of the primary aviation hubs in the Asia-Pacific region. “AAHK is a long standing Cavotec customer, and we’re delighted to see our capacity to manage large, complex projects once again confirmed by this order,” says Gustavo Miller, Cavotec COO APAC. 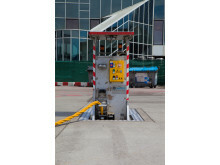 The ground support equipment order follows a separate order that Cavotec received in 3Q16 for fuelling equipment for the same project. Among the other orders received in 4Q16, Cavotec won orders to supply pre-conditioned air (PCA) and 400Hz electrical power supply pit systems for 15 aircraft stands at Rome Fiumicino International Airport, another long standing Cavotec customer. The order is part of the third phase of a major project involving two new terminals and several remote aircraft parking stands. Also in 4Q16, Cavotec has won a number of service, equipment and system orders for a variety of aircraft gate and maintenance hangar applications in locations such as Australia, Colombia, Germany, and the US. The orders include PCA units, 400Hz converters, utility pits, fuel hydrant pit systems. 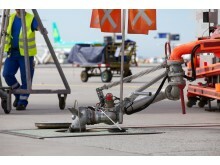 Cavotec is a leading systems integrator of advanced ground support equipment in the global airports sector. Its in-ground technologies minimise tarmac congestion, improve operational efficiency and reduce environmental impact at terminals, remote stands and hangars at commercial and military applications worldwide. 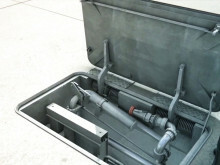 There are currently some 40,000 Cavotec aircraft pit systems installed worldwide. 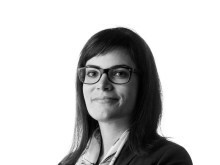 The information in this release is subject to the disclosure requirements of Cavotec SA under the Swedish Securities Market Act and/or the Swedish Financial Instruments Trading Act. This information was publicly communicated on 1 December 2016, 08:30 CET. Cavotec is a global engineering group that manufactures power transmission, distribution and control technologies that form the link between fixed and mobile equipment in the Ports & Maritime, Airports, Mining & Tunnelling and General Industry sectors. To find out more about Cavotec, visit our website at cavotec.com. Prior to publication, it must be approved by Cavotec. 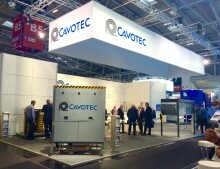 Cavotec has unveiled its innovative Series 2500+ ground power unit at inter airport Europe 2015. 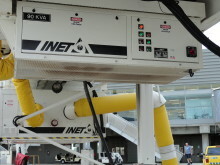 The system, readily combined with a 400Hz modular coiler (PowerPack I-connect), has been designed for the global market and to meet airlines’ growing environmental and operational requirements. Global engineering group Cavotec has won a breakthrough order for its innovative Pre-Conditioned Air (PCA) and 400Hz power technologies for Dubai’s new gateway airport, Al Maktoum International. The EUR 17.5 million order is one of the largest airport equipment project wins in the Group’s history. Global engineering group Cavotec has secured significant orders to supply its innovative aircraft systems to major airports in the United Arab Emirates, the UK and the US. The EUR 11.5 million contract wins, all received and confirmed in the past two months, underline the continued success of the Group's advanced integrated aircraft utility systems at applications worldwide. Cavotec SA's previously announced strategic plan and new organisational structure — based on two distinct Business Units (BU), Ports & Maritime and Airports & Industry — entered into effect on January 1, 2017. 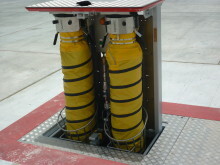 Cavotec pit systems supply aircraft with fuel, 400Hz power, air and water at airports all around the world.